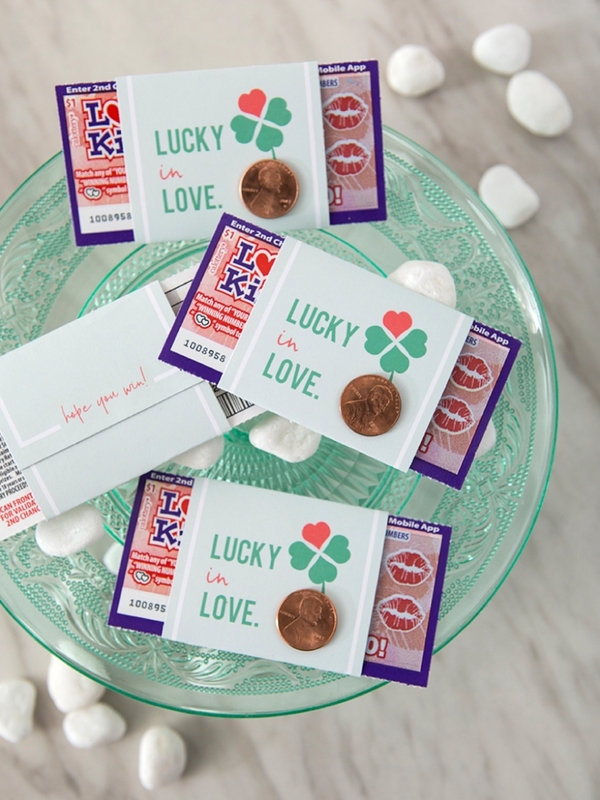 OMG, These DIY "Lucky In Love" Scratcher Favors Are Too Cute! 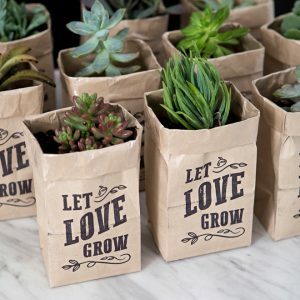 Wedding favors… ahh, yes, wedding favors. 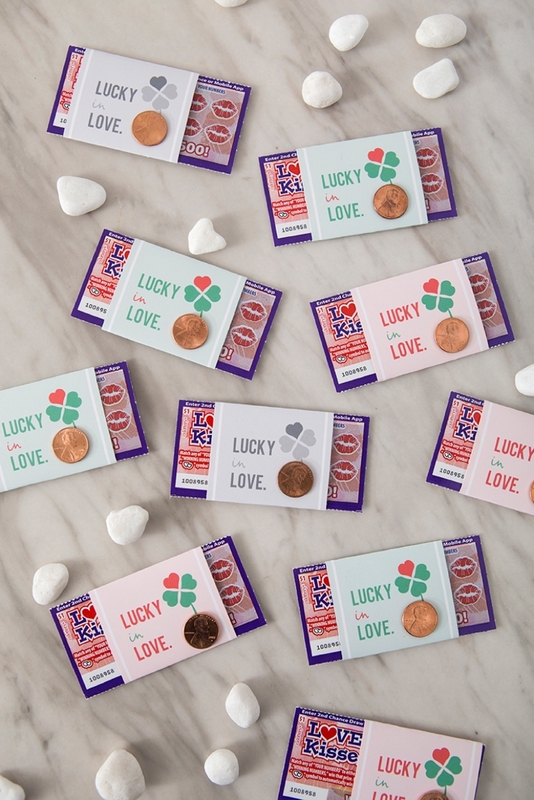 Really nice, personalized favors can cost upwards of $4 each or more, and when you’re having a large wedding, it adds up quickly. 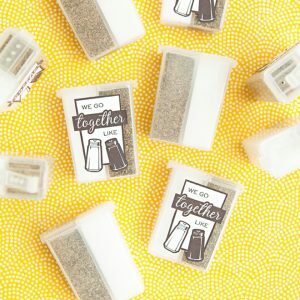 If you’re looking for inexpensive and fun wedding favors, I’ve got a great idea for you today! 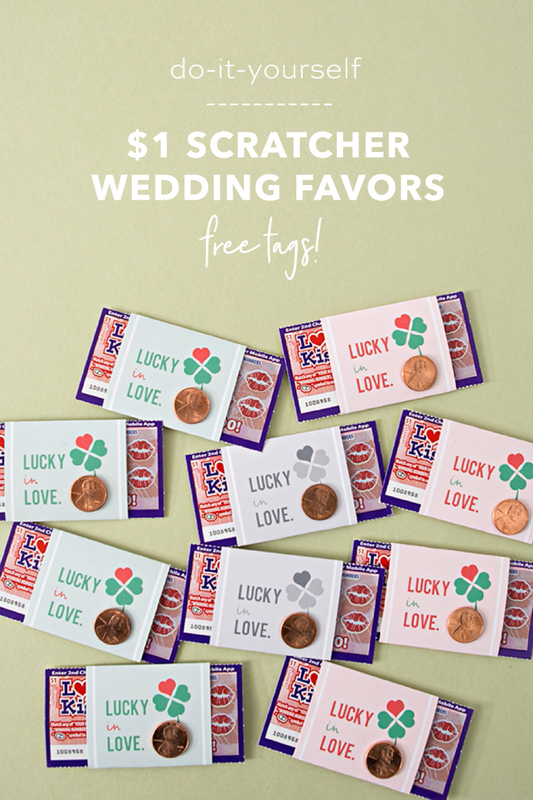 Give out $1 scratchers! Can you imagine? If you go buy like 100+ scratchers, there will have to be a few good winners in the bunch! 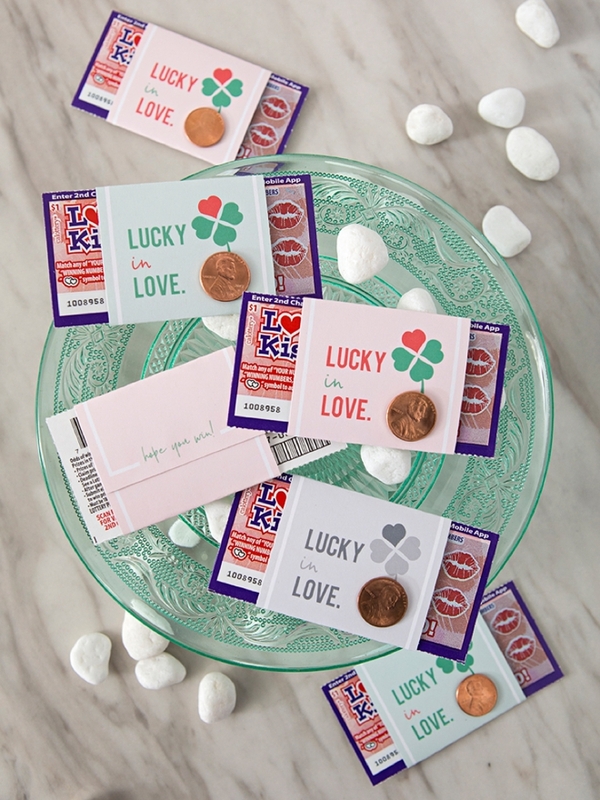 Print our labels for free at the end of the post, stick on a penny for easy scratching, and gift! Perfect for your bridal shower or your wedding. Do you feel lucky? Well, do ya? 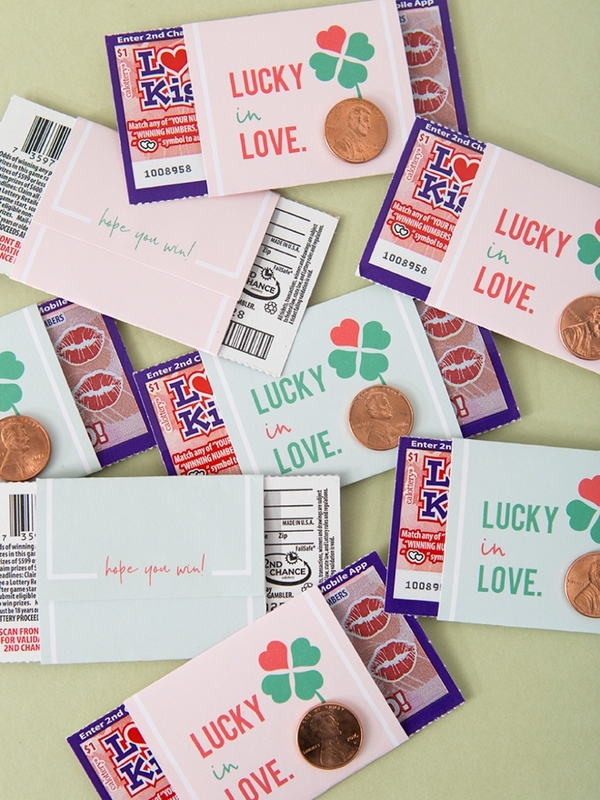 I’m sharing 3 different colored labels for you; pink, mint and gray. Choose the color that best fits your theme or the color of your scratchers, or get creative and design your own. You can always download my labels as a template to design from! Download our free labels by clicking on the graphic at the end of the post. Then print your favorite color onto 8.5″ x 11″ white cardstock. 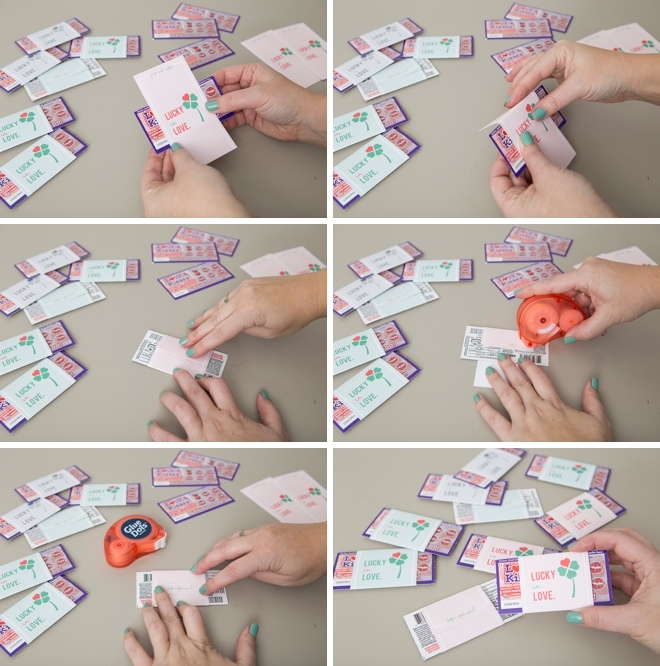 Trim each label with a paper trimmer or scissors. 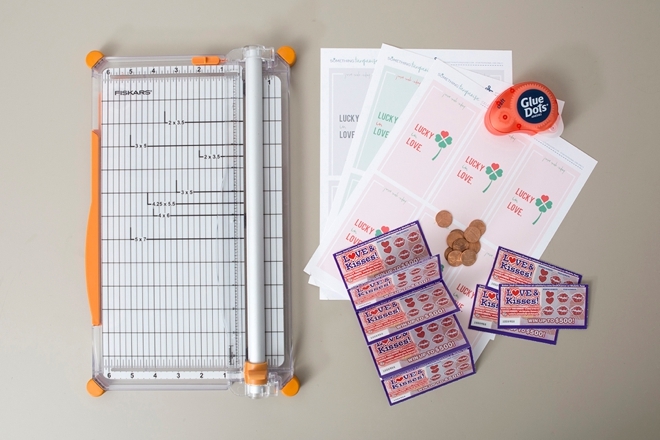 Wrap and fold each label around your $1 scratcher, then adhere the label together on the backside using your favorite scrapbooking adhesive, mine is Glue Dots. 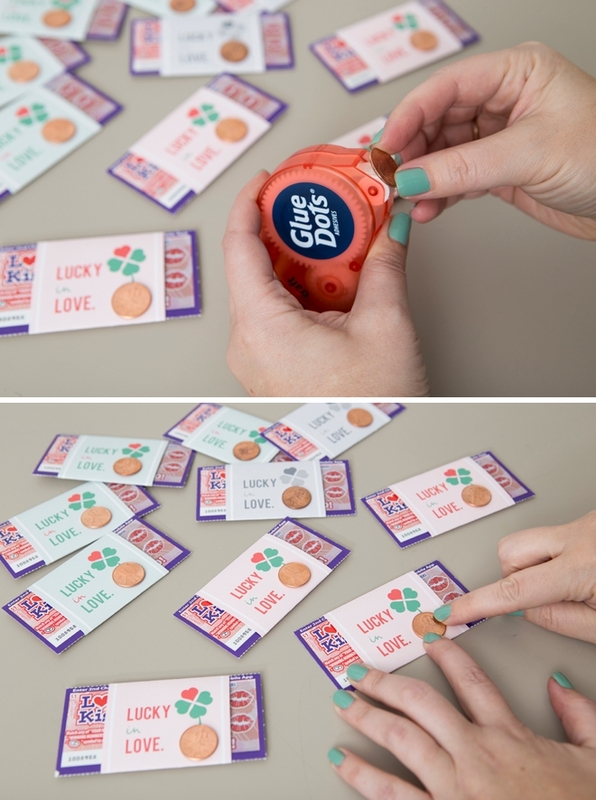 To make it super easy for all your guests to scratch their scratchers right on the spot, add a penny to the front of the label with a Glue Dot! I don’t know how you’d do it exactly, but I think it would be an absolute riot to have everyone scratch their scratchers at the same time. I’m sure you’d hear a lot of looser sighs, but there would have to be quite a few winners, especially in a large wedding. I just think this idea is the most fun, for everyone, you and your guests!